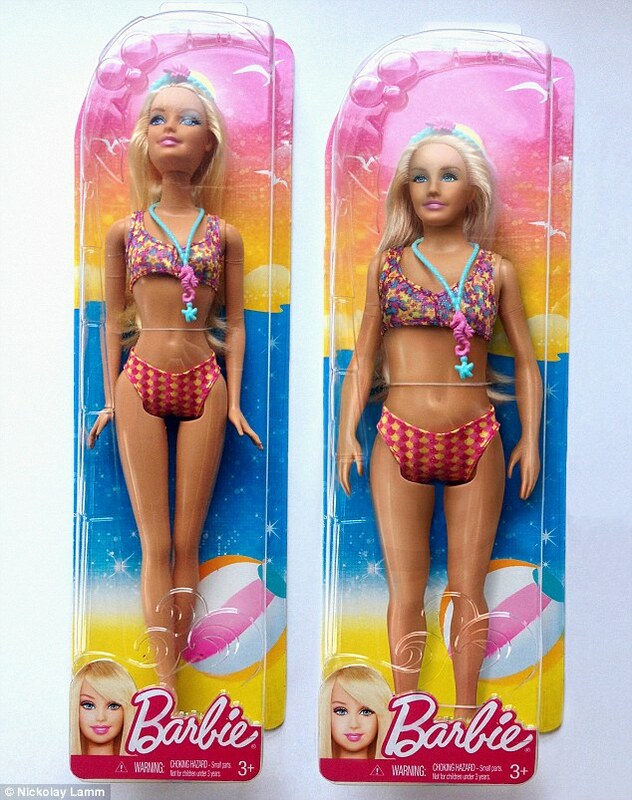 Throughout the history of Barbie, she has been criticized for setting unrealistic body images for young girls. 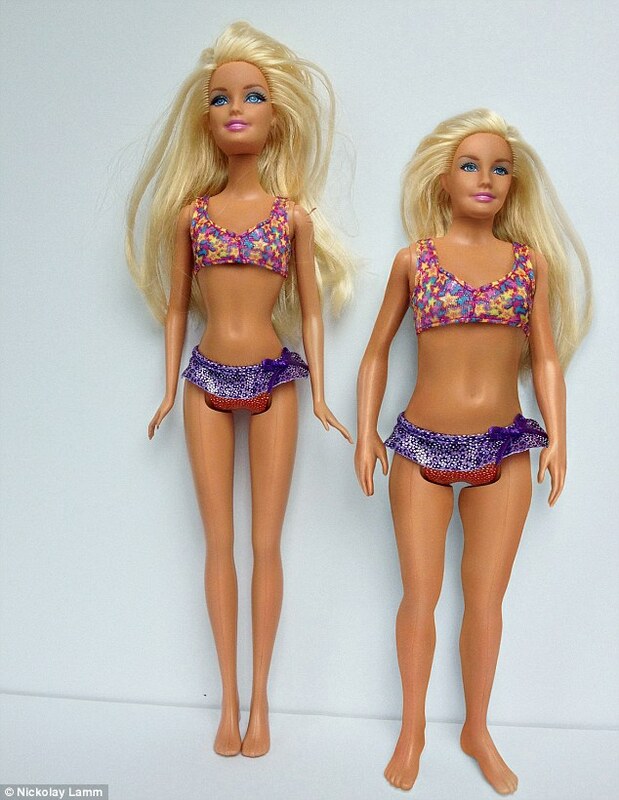 So ever wonder what Barbie would look like if she was modeled after the average size American woman? 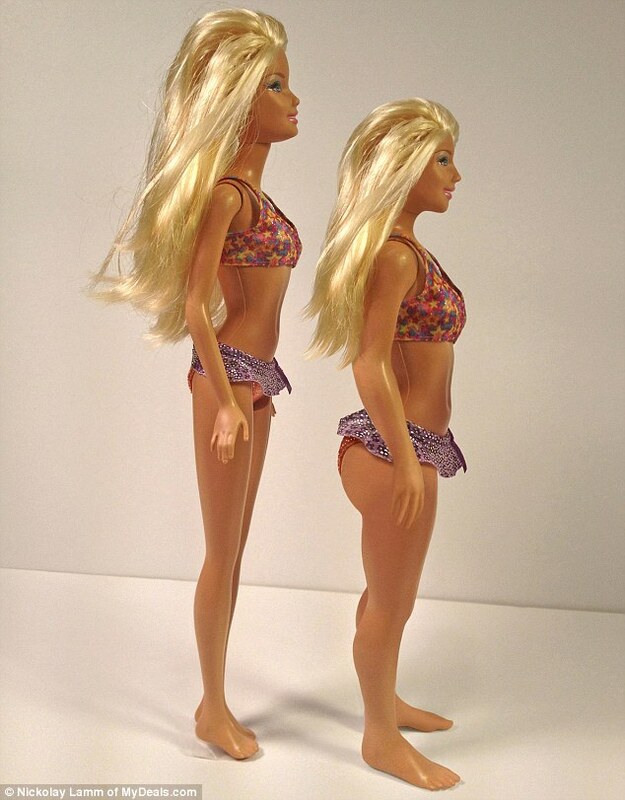 Artist Nickolay Lamm used measurements of an average 19-year-old woman to create an “average” Barbie and then photographed the new doll next to a standard size Barbie. 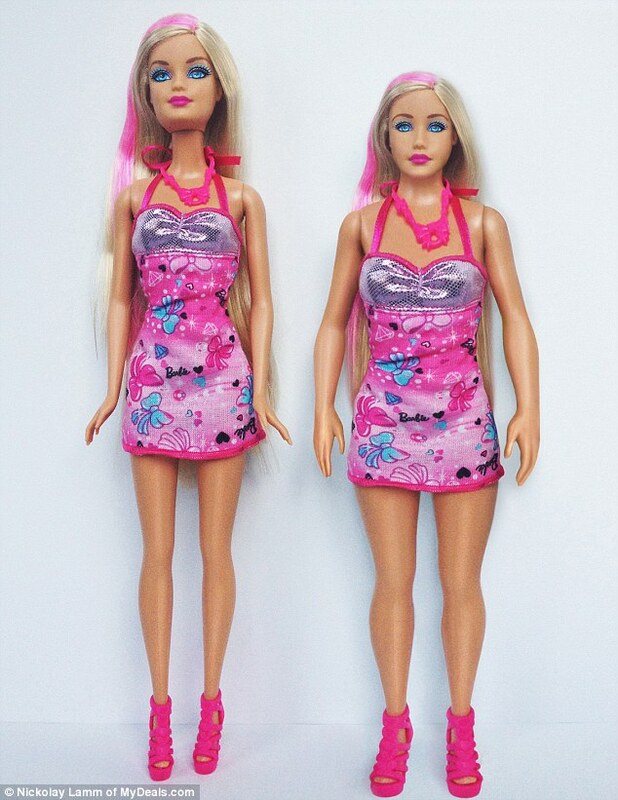 The photos really put things in perspective.